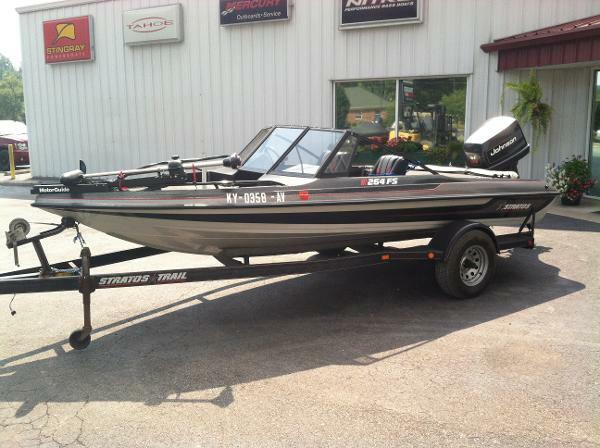 1991 Stratos 264 FS The Great Outdoors Marine - The Fun Starts Here!! 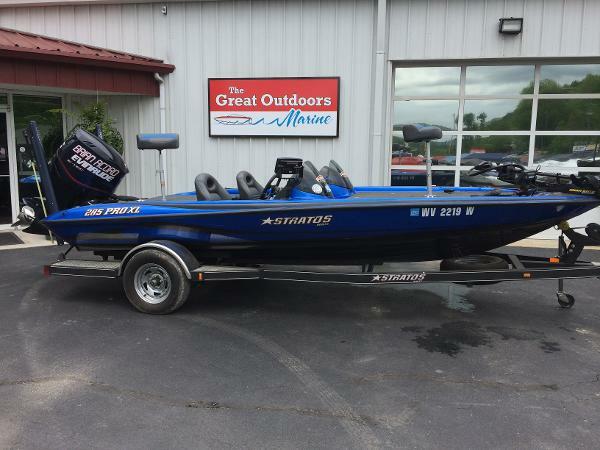 The 1991 Stratos 264 Fish & Ski has a Johnson 120hp2-stroke outboard, a 17' Stratos single axle trailer and astorage cover. 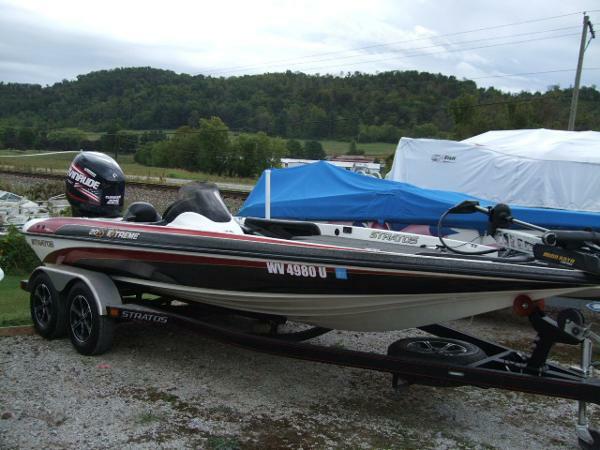 It has a new MotorGuide 75# 24V foot-controlled trolling motor and a Lowrance depth/fish finder on the bow of the boat. In the cockpit, you have a bench seat to accommodate 3people and a port side captain's chair - holding up to 5 peopleall together! The walk-thru windshield is a comfortable featureto have to keep the wind from giving you a chill on some ofthose cooler days on the water. In addition to that, the boat also comes equipped with a bimini top to keep you shaded on those hot and sunny days!